Do you know that at any moment, almost half the women in our Metros are on a weight-loss program. While most of them are on some kind of reduced diet, a few health-conscious ones are on some exercise program. The glam dolls of Bollywood, the lovely fashionable clothes on sale in those malls (the ones that “invariably” are not available in your size), the party you have to attend next month, your cousin’s wedding, college reunion, ohhh, everything seems to be a reason why you should be losing weight! Yes, weight-loss seems to be becoming our national pastime now! Everybody who is somebody is trying to lose weight. And everybody who is nobody, is trying to be somebody by losing weight! Makes sense? If you have ever tried to lose weight, you would be aware that it is one of the most difficult things to do. Whether you try to eat less, or eat sensibly, or exercise everyday, weight loss remains a distant goal for most people. Memsaab brings to you, a new strategy for weight-loss: Natural Weight-Loss. Before we explain what “natural weight-loss” is, we would like to explain the reasons for adopting this new approach. 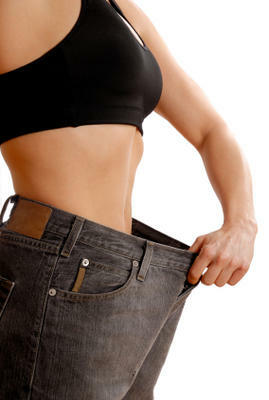 When people embark on a weight-loss program, if they are serious, they lose a few kilos quickly. But then they kind-of get stuck! Further weight-loss seems to be impossible. This is what is called “reaching a plateau”. How does one move further after reaching the plateau? You Lose Some, You Gain Some! This is what happens to almost every weight-watcher. Lose weight, gain weight, lose weight, gain weight: this is like going round and round in circles. Permanent weight-loss seems like an impossible task. Can it be made possible? Working out is good for the body, but excess of everything is bad. If you work out so much that your body cannot keep up with your demands, it will slowly burn out. You might end up with severe medical problems. So, how can you lose weight with moderate exercising? Your body is just like a car. If you don’t feed it, how can you expect it to function? Being on a diet forever can never be good for anyone. Don’t you want to know if you can do something else instead of being hungry forever? All those medicines that are supposed to help in losing weight are probably doing you more harm than good. Appetite suppressants fail to note the fact that eating is not just physical. People eat for emotional reasons also, even when they are not hungry. Are you aware what all these chemicals are doing to your internal system? The simple and basic fact is that your whole approach towards your body needs to be reviewed. You need to take a new look at yourself and ask some questions. Do you really need to lose weight? Do you have realistic expectations from your weight-loss program? Are you on the right weight-loss program? Feeling confused? Interested? Tickled? In the second article, we will discuss a new approach to weight-loss: The Natural Way To Weight-Loss. Till then, you ask yourself all these questions and do come back to read our second article in the series.